I received a flower bulb in a box for Christmas, and finally found the time to take it out and plant it. 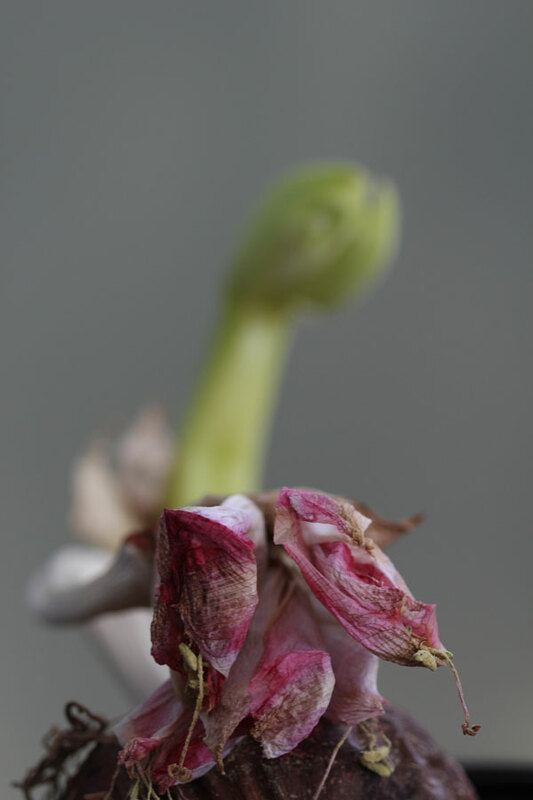 I was looking forward to a fresh spring amaryllis amid these dark winter days. So imagine my surprise when I opened the box and it had already grown. The bulb had sprouted a flower – which had subsequently died – without ever having been planted, watered, or given light. It was a strange and beautiful (because even in death, the petals retained their lovely markings) surprise.